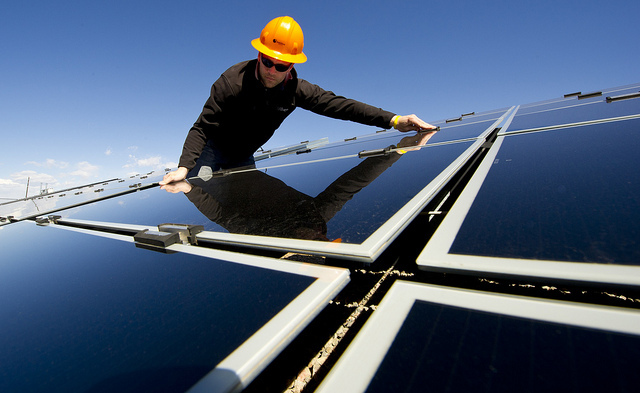 John Hempton’s Bronte Capital is long Sunedison Inc (NYSE:SUNE). Hempton is a famous short seller, so when he goes long on a stock, it gets people’s attention. Hempton is also a bit of a contrarian. He went long Herbalife Ltd (NYSE:HLF) in 2013, after Bill Ackman shorted it and the investing public sold the stock. By going long SunEdison, Hempton is once again going against the crowd. SunEdison shares are down 63% year-to-date and off 78% from their peak this year as investors fret over the company’s liquidity. Let’s take a closer look at Hempton’s thesis. In his blog entry on the solar firm, Hempton acknowledged that Sunedison Inc (NYSE:SUNE) is a ‘trust me’ stock, as the company’s balance sheet has many related parties ‘and the copious amounts of different types of debt these companies have [are] complex and even scary accounts’. Given his accounting background, however, Hempton is uniquely suited for ‘getting to the bottom of complex accounts’ and properly evaluating the fair value of the obscure securities. Hempton thinks Sunedison’s existing projects are worth a lot. He also thinks that the Sunedison has enormous value if it repairs its relationship with the capital markets. Although Hempton can’t see all of Sunedison’s funding and thus can’t be completely sure that Sunedison won’t go bankrupt, he has seen a great deal and thinks the stock is a good bet.